A few months ago, I sadly noticed that several sellers, websites and brands used my very own pictures to share and use them on their website and selling account - no shoutout, no money for me, nothing. 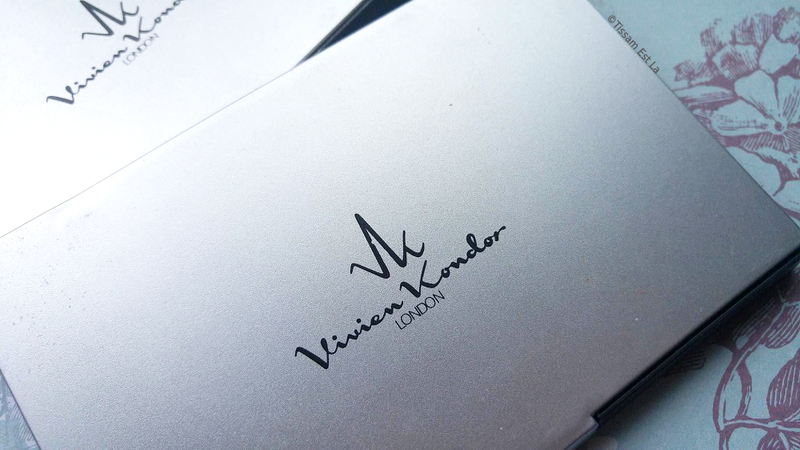 Among these brands you can find Vivien Kondor themselves and resellers of the brand. Around that time I felt I had to include watermarks on my pics. 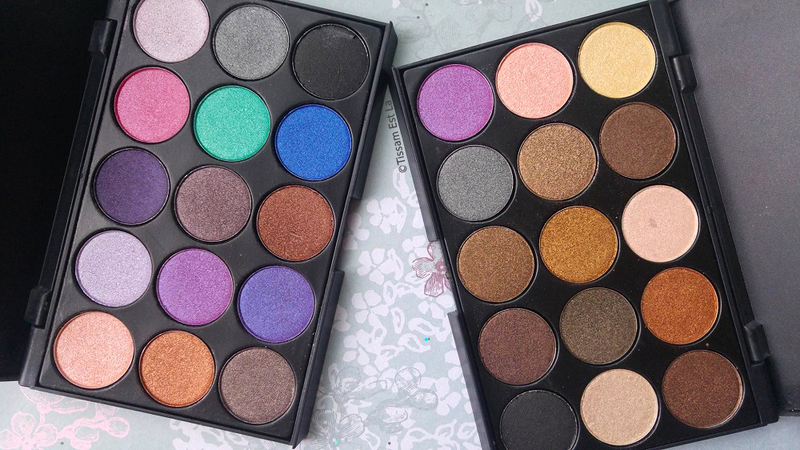 And so today I'm sharing my updated post about their eyeshadow palettes after using them for a few months with new pictures, clearer and more beautiful too. I had bought those two palettes on the website JBC Cosmétiques (they cost €6.79 there at the moment and that's actually a great price compared to the quality of the eyeshadows) but you can also buy them off the Vivien Kondor website where you can find a large range of lipsticks and a few eyeliner pencil, mascaras, blushes... or off Amazon too. The packaging is really tacky - I've found the very same palette shape on Aliexpress and other Chinese websites and they all seem to be made of the same plastic that doesn't look all that sturdy. It's okay though for I've never ever had any problem with opening and closing them nor any break issue when I take them with me outside of the house. 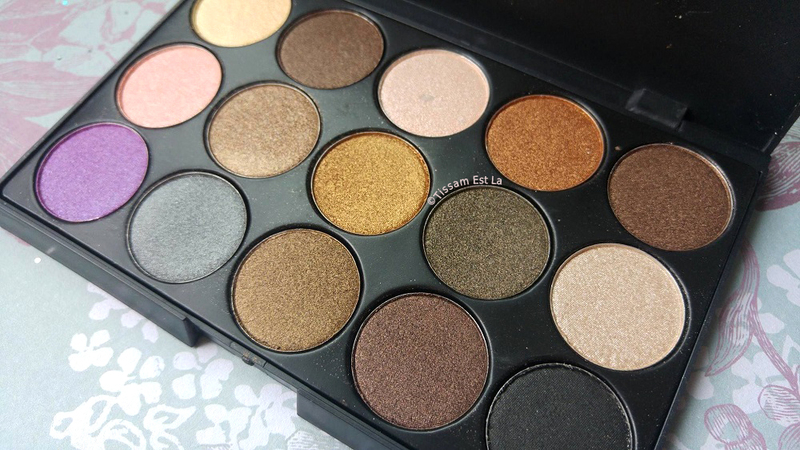 Out of the two, this one is my favorite palette - it's made exclusively of shimmery eyeshadow in beige, brown and golden hues with just a teeny tiny bit of color - it's perfect for any occasion. 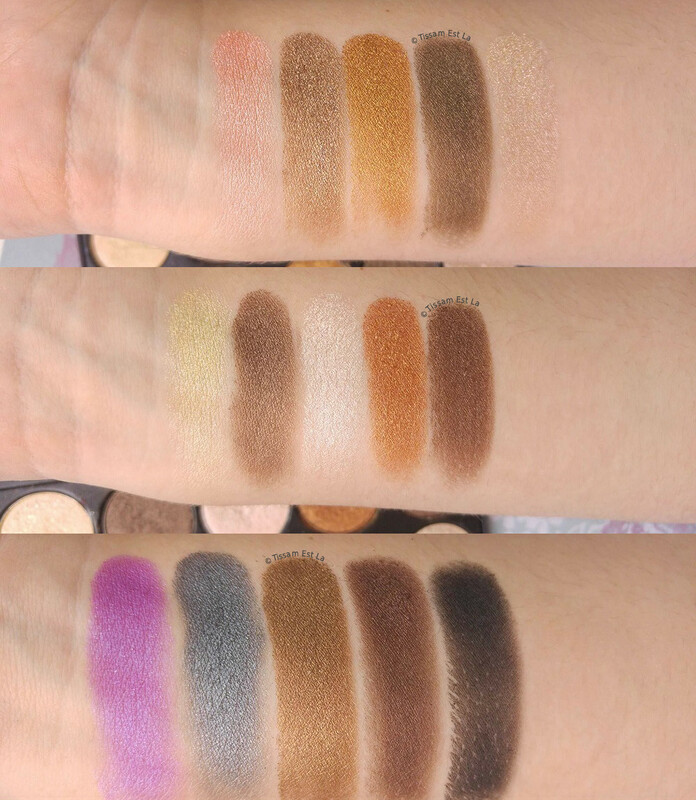 It's seriously lacking matte eyeshadows ; I've already tried to create a look exclusively with these eyeshadows are the beige hues are clearly not a day-to-day under-the-brow shade. 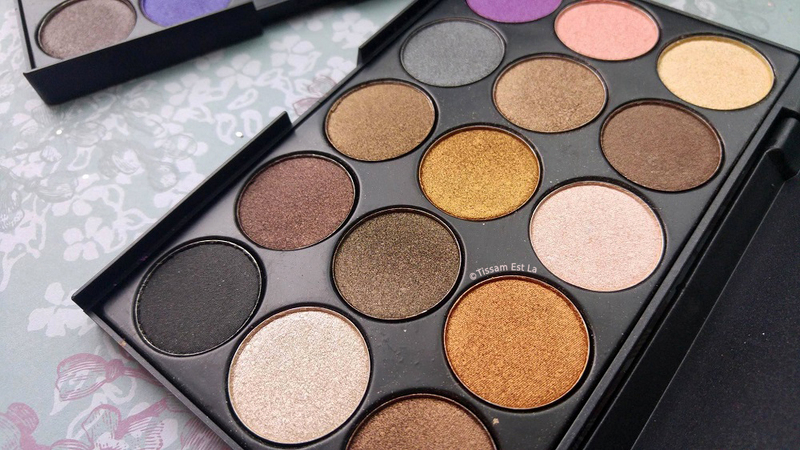 There's a sweet, flowery scent coming from the eyeshadows that I've never encountered in any other palette, it's something of a change that I appreciate. 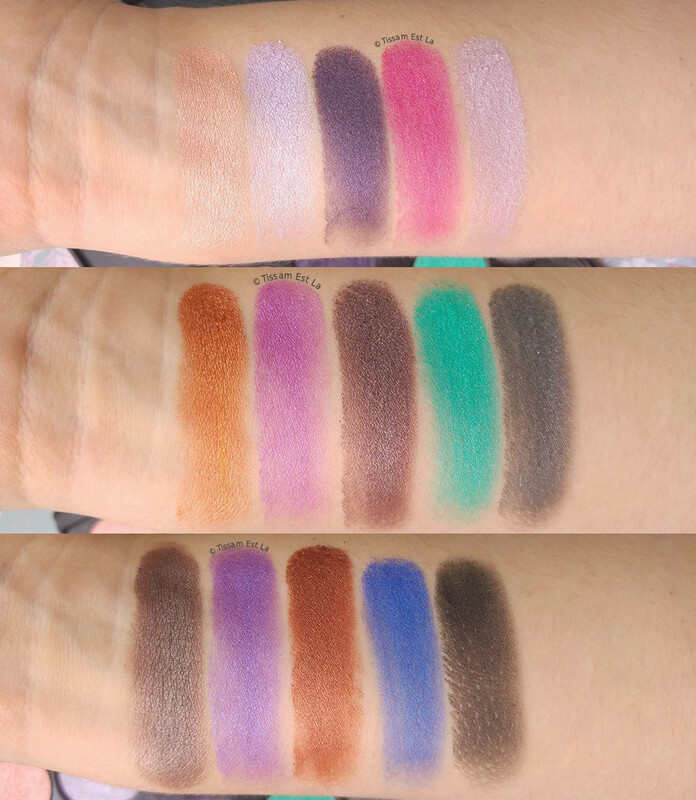 I love the second and the fourth eyeshadows in the first row, the second one in the second row and the last four eyeshadows from the third row, but the pigmentation of all is downright honorable. 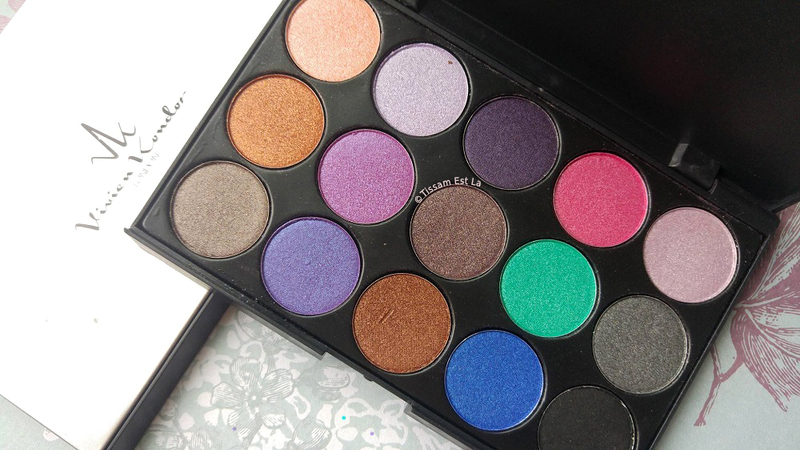 When I saw this palette for the first time, I understood at once that I wasn't used to this color combo - I don't really like the pink, green and bright blue shades, they're too vivid for me. The rest of the colors I really like and I can wear almost any of them easily with pleasure because they're more subtle. I'm in love with the dark purple from the first row, with the purplish brown from the second row, with the brown in the bottom left corner and with the beautiful caramel brown from the third row. Also, I'd like to stress upo, the fact that the matte black is really pigmented in both eyeshadow palettes and that's pretty great ! Several shades are really unique but using them for makeup isn't any more difficult. 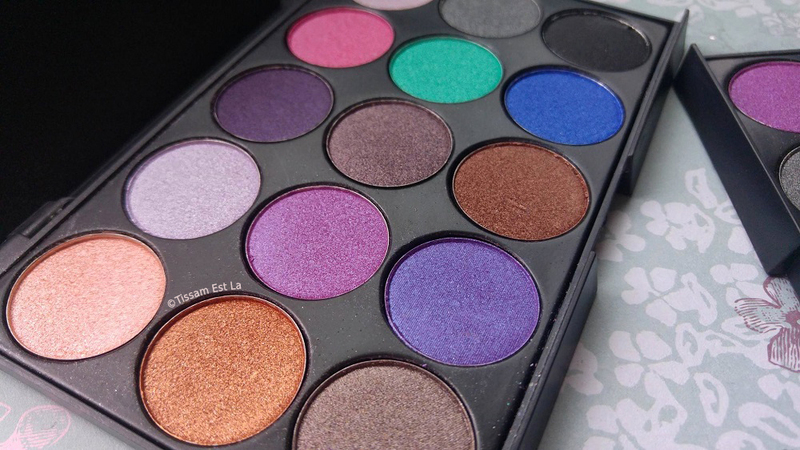 The blending is so easy and the price, the pigmentation and how longlasting they are make them must-have palettes. Yeah, they last about 5 hours without an eyeshadow primer before creasing and so much longer with a mere ELF eyeshadow primer... I'd love for Vivien Kondor to release an all-matte eyeshadow palettes because I really like using this kind of finish lately. 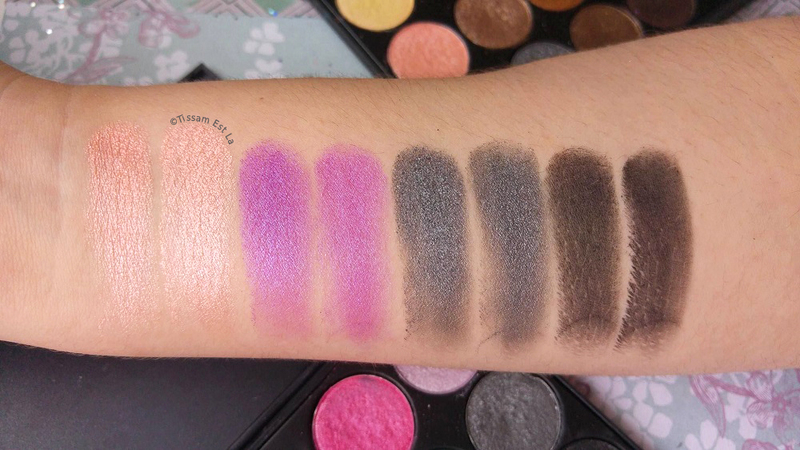 There are four shades that you can find in both the Nudes and the Brights palettes : the black, the grey, the pinky beige and the blueish purple ones - I'm not bothered because I use pink, black and grey very often in day-to-day makeup looks. 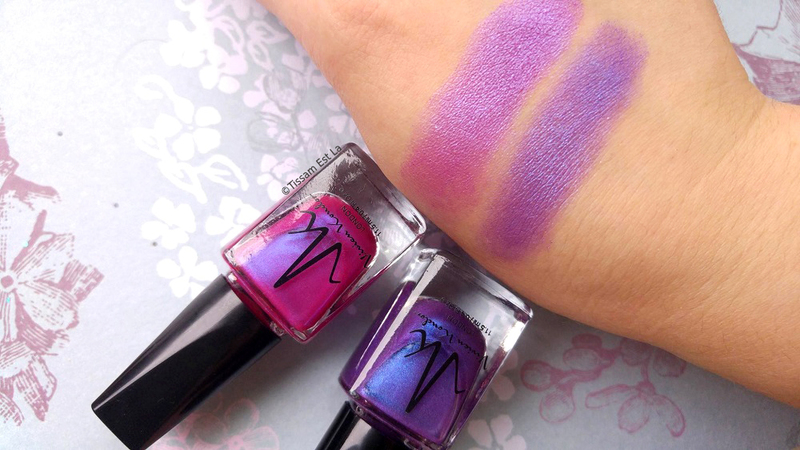 I think it's also really interesting to note that the two blueish purple hues (Violet and Lilac Frost) have their equivalent in the nail polish range so if you like these shades, you can get the same ones on your nails. 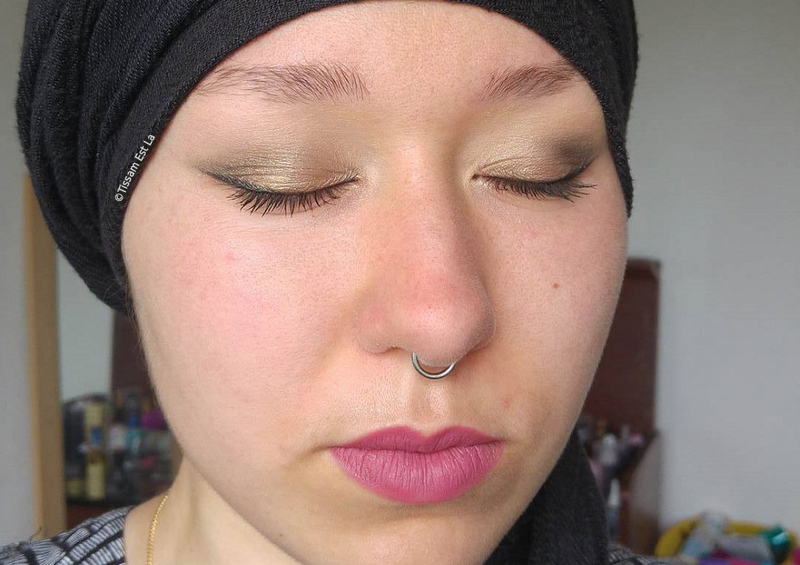 It's much cooler to show you guys eyeshadows being used so I've mixed some from the Nudes palette to create a daytime look with some golden on my eyelid and on the lower lashline, the grey eyeshadow in the crease and the black one as an eyeliner. I chose to mix this with pinkish lips and so I used Golden Rose's Velvet Matte 02 lippie. 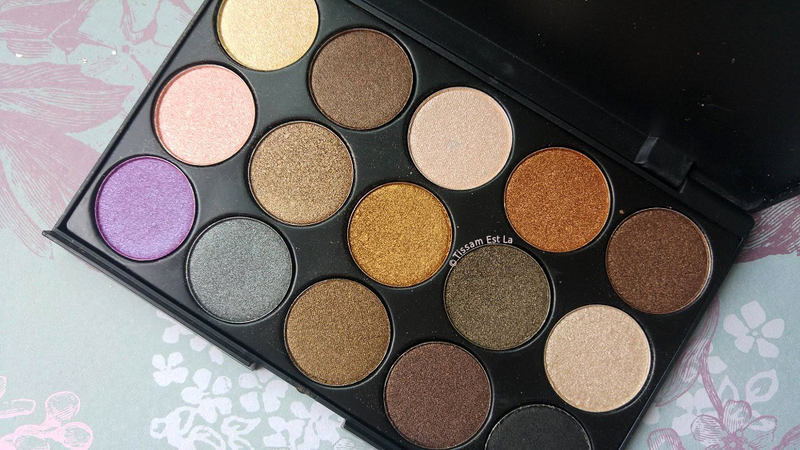 What about you, are there any great cheap palettes you're addicted to ? Want some more makeup ? 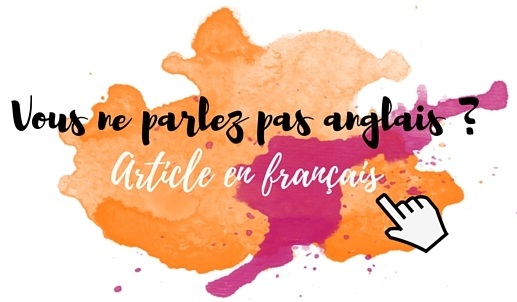 Discover some great find below ! 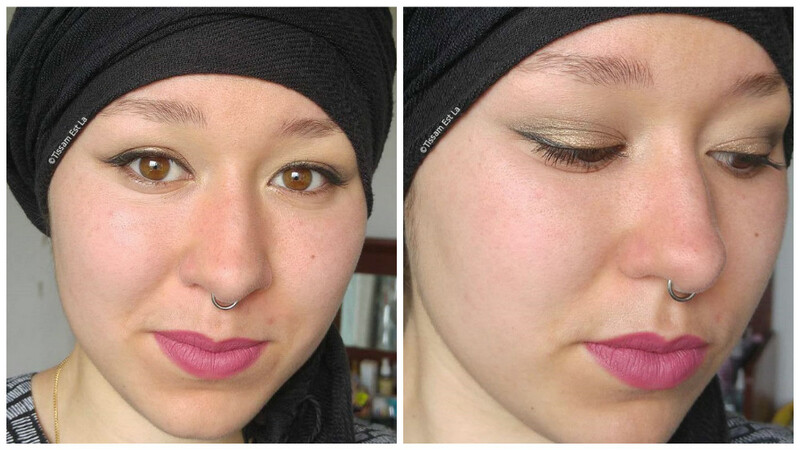 Jordana's Sweet Cream Matte Liquid Lipsticks - Great'n'Affordable !